Continuing with the pink baby shower theme, we had to come up with a drink. Since I couldn’t serve coffee or tea, we had pink lemonade. 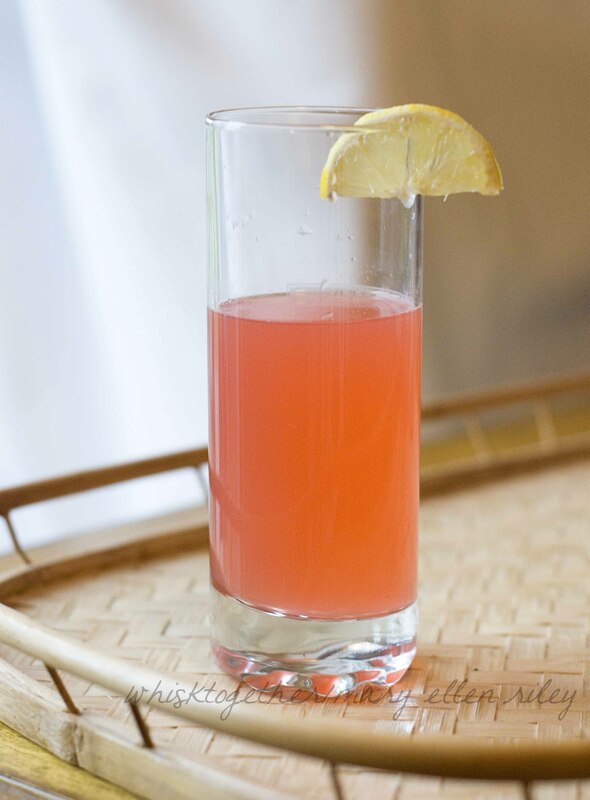 I try to avoid the artificial stuff when I can and came across Smitten Kitchen’s Watermelon Lemonade! Well, since I was making fruit cups anyway with watermelon, I might as well puree the stuff and make some pink lemonade. The kicker was that the hostess, Melissa, had some frozen strawberries. So, we added those to the watermelon lemonade and it tasted even BETTER. So, if you need a cool drink, a pink drink or just something tasty, this is delicious. Oh, and if you don’t have the time to make homemade lemonade…. or realize like me that it is really expensive to make homemade lemonade, try Tru Lemon. It is awesome stuff. Tastes the closest I have ever come to Chick Fil A’s diet lemonade. Only this is a powder form like Crystal Light. It is also 100% natural. Crystal Light has yellow # this and that. Tru Lemon says “Natural Colors”. I wondered what that meant, so I emailed the company and they actually got back with me the next day to tell me that their natural color in TruLemon is beet juice and turmeric! I’m sold. Mix it all up and serve with ice! To make watermelon puree: I put about 3-4 cups of chopped up watermelon into the blender. Then, I put my strainer over a bowl and strained it while pushing the puree down through the strainer. To make simple syrup: Put equal amounts of water and sugar in a pot. Simmer until dissolved. That’s it! 1 packet of Crystal Light Lemonade or TruLemon lemonade for 2 qts.